By now everyone knows that moms have the most spending power out of every vertical of consumers. Therefore, brands of every genre are teaming up with mom bloggers and reporting awesome brand lift and campaign results. From fashion brands to food to travel, any brand that has moms as even some of their consumers has been at least dabbling with mom blogger partnerships. The majority of the time, I hear nothing but good things about this type of marketing. When I don’t, it’s usually because a team is attempting partnerships with mom bloggers but aren’t as informed about this outreach marketing strategy as they should be. Marketing with mom bloggers is pretty simple and very effective once the following components are factored into implementation. Prepare for the time consuming and detailed organizational components of running a great blogger outreach strategy. You strategy always needs to have an “and”: the right vertical of bloggers AND a creative component that makes your brand stand out to their consumers. Don’t take on more than you can handle. Less is more. Working with a few bloggers on fantastic campaigns is better than working with a lot of bloggers on mediocre campaigns. Work with each blogger’s strengths. You may be marketing with mom bloggers, but does your blogger in question write about foods for kids with allergies or about crafts to entertain younger kids? Does your mom write about budget conscious activities, or does she travel a lot with her children? 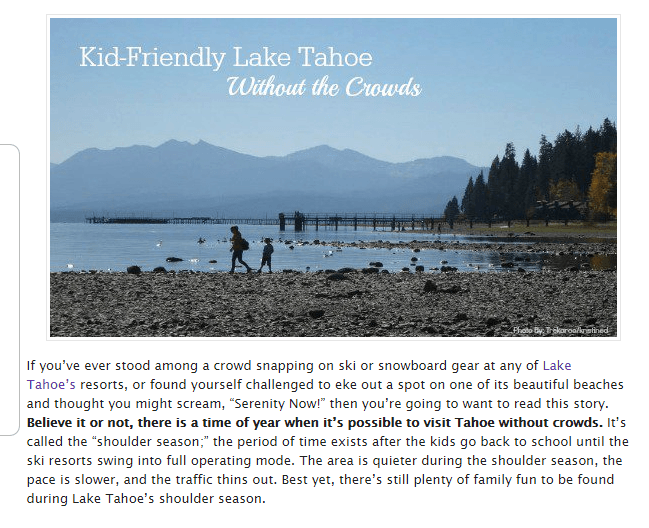 For this month’s case study, I am excited to highlight The Abbi Agency, who organized an awesome campaign with mom bloggers for their client, Lake Tahoe. The Abbi Agency chose bloggers with whom they had a previous relationship from past campaigns. They also had a few bloggers approach them to work together. After all, they were giving away a free personalized trip to Lake Tahoe for their entire families! When determining which bloggers were a good fit for the project, they looked at metrics AND whether or not they were PR-friendly. To promote Lake Tahoe, the agency created custom itineraries for each blogger and made sure they enjoyed their experience with the region’s key selling points. Constance advises to “always keep in mind that no two bloggers are the same.” Some moms are more adventurous, and others are foodies who want to explore the cuisine of the area. If you cater your plan to each blogger, it means you don’t need to work with a lot of bloggers. For this campaign, for instance, there were only six bloggers on the press trip. “Include wiggle room for bloggers that want to throw schedules to the wind and truly soak up their experience,” she added. Working with mom bloggers for Lake Tahoe scored not only a lot of authentic press but also ongoing relationships for both Lake Tahoe and Abbi Agency. 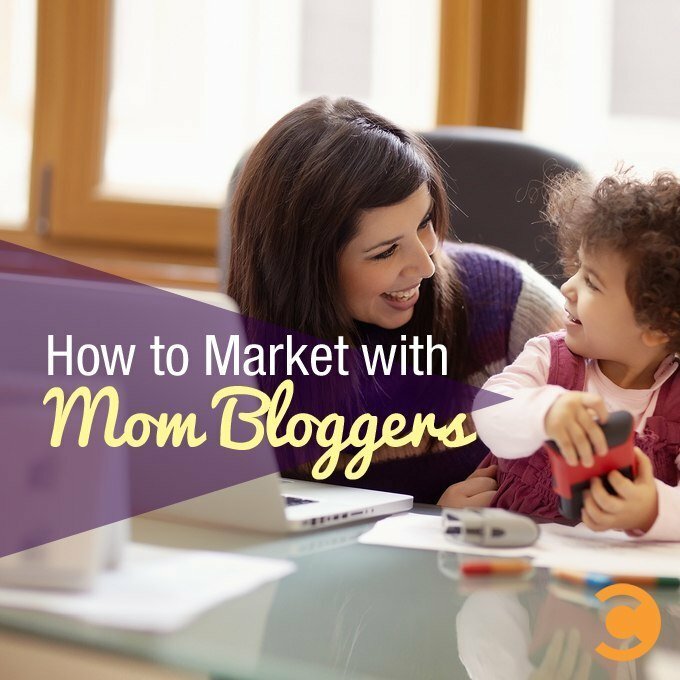 When the focus is on the blogger’s strengths and audience, adding mom bloggers to a marketing strategy can be exactly what a brand needs to make a spark in the crowded digital media world!